Industry-leading Sony Exmor sensor IMX290 2MP CMOS, clearly records license plate even at night. 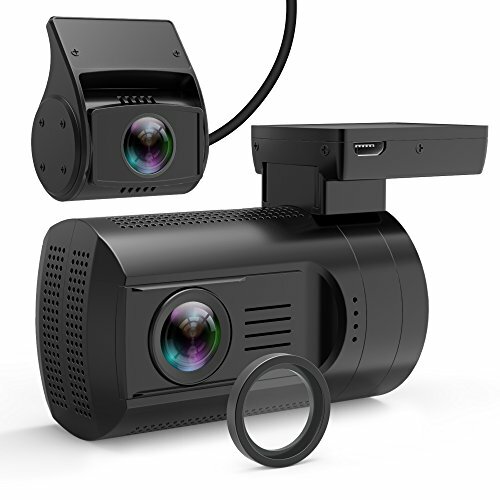 With 7 precise lens elements, the dash camera records in full HD 1080P 30fps for both front and rear camera. 1. Please use class 10+ 128G Max micro SD card; 32G Samsung, Kingston and SanDisk is recommended. 2. Please format the micro SD card Monthly to keep file system clean. 3. Please avoid exposing this camera to extreme high temperature, especially under direct sunlight in summer, otherwise it will shut down due to its temperature protection. If you have any questions about this product by Veckle, contact us by completing and submitting the form below. If you are looking for a specif part number, please include it with your message.